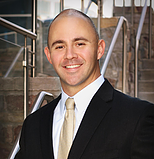 Lee Wilson is a tax attorney whose primary practice focuses on tax controversy matters at the federal, state, and local levels. He represents individuals and businesses before the Internal Revenue Service, the Department of Justice's Tax Division, the Texas Comptroller of Public Accounts, and various other state and local governmental taxing authorities. Lee holds a Master of Laws in Taxation (LL.M., Taxation) from the The University of Florida’s Levin College of Law. The University's program is universally recognized as one of the top tax law programs in the country. Prior to that, Lee obtained his Juris Doctorate from Texas Tech University School of Law, where he was a member of the School's Law Review, President and Founder of the Tax Law Society, and served as a member of the School's Low-Income Taxpayer Clinic, which operates to provide assistance to individuals that cannot afford legal counsel in resolving their disputes with governmental taxing authorities. Before attending law school, Lee obtained his Bachelor's degree in Business Administration from Texas A&M University in College Station, Texas. In the Greater Houston and The Woodlands area communities, Lee is a member of The Woodlands Rotary Club and The Woodlands Bar Association, where he serves on the Board of Directors. Lee also serves on the Executive Board for the Houston Chapter of the Texas Tech School of Law Alumni Association. 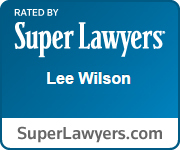 Additionally, Lee serves as a member of the Houston area's United States Tax Court Pro Bono Program, where he continues to assist those unable to afford legal counsel in resolving their disputes with the Internal Revenue Service. In 2014, Lee was honored by the State Bar of Texas' Tax Section by being appointed to the Section's Leadership Academy, an honor bestowed by the leaders of the State Bar on the top 20 young tax attorneys in Texas. In 2016, Lee was appointed to serve as Vice-Chair of the Tax Section’s Solo and Small Firm Committee. Lee, a native of The Woodlands area, lives and works in The Woodlands. In his free time, Lee enjoys playing golf, watching college sports, and spending time with his wife, daughter, and black lab, Charlie. He also enjoys reading and traveling.